The last Tuesday in the month of February typically brings to mind thoughts of spring, but to animal advocates and rescue organizations, the day is so much more. First celebrated in 1994 by the Doris Day Animal League as Spay Day USA, the last day in February, 2012, marks World Spay Day, a campaign helmed by the Humane Society of the United States and Humane Society International. World Spay Day is the culmination of Spay/Neuter Awareness month, and it was designed to shine a light on the importance of spaying or neutering companion animals across the country and around the world. Spaying or neutering your dog can offer many benefits, not only to the life of your dog, but to the fight against pet overpopulation. 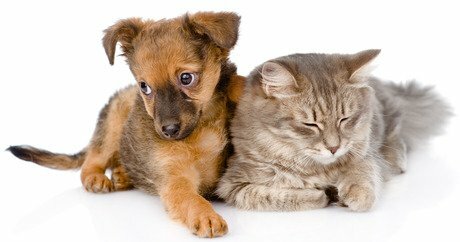 It is estimated that as many as 4 million cats and dogs are euthanized in animal shelters every year — a staggering statistic. Calculations show that one intact female dog and her intact offspring could theoretically produce 67,000 dogs in a short span of only six years. Many veterinarians and spay/neuter clinics are offering special rates in honor of World Spay Day, while others are holding raffles and events. Even if you miss out on World Spay Day 2012, you can still take action year-round: make an appointment to have your four-legged friend spayed or neutered, adopt a pet from a shelter or rescue organization, or do your part to volunteer or donate to organizations that promote the cause of spay/neuter in your community. Join the conversation online today via the #Spayday Twitter feed. To find a low-cost spay/neuter clinic near you, use the search widget on the HSUS page.